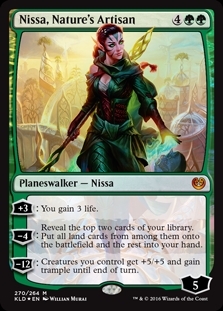 Nissa, Nature's Artisan ($0.00) Price History from major stores - Kaladesh - MTGPrice.com Values for Ebay, Amazon and hobby stores! Card Text: +3: You gain 3 life. -4: Reveal the top two cards of your library. 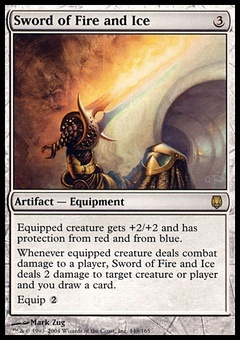 Put all land cards from among them onto the battlefield and the rest into your hand. 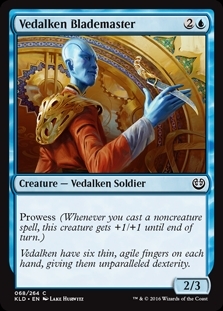 -12: Creatures you control get +5/+5 and gain trample until end of turn.